I have a friend who is a personal organizer. She used to work for a major broadcasting company—a job she landed right out of college. It was exciting, challenging and 80 hours a week. She had no friends outside of work and barely had the strength to grocery shop or do laundry on weekends. Then she was laid off. For many Americans work has become everything. It devours their time, their physical and mental energy, and now for some it's become their major relationship—what some researchers describe as the "new romance." Like my friend, you may not even know that work has taken over your life. You simply go back and forth from home to your job, up and down on the seesaw. Americans are spending more time at work than we would have thought possible 20 years ago. After 100 years of increasingly shorter work weeks, our work week stabilized at 40 hours after World War II, according to Benjamin Hunnicutt, a professor of history at the University of Iowa. Now two out of three Americans work more than 40 hours a week and one in 12 works 60 or more hours a week. How has this happened? There are a string of reasons: political maneuvering, social pressure, consumerism, longer work hours, and ego gratification. As you may have always suspected, work is an evil government plot. Ever since the depression, our government has realized that ensuring that everybody works means a steady tax flow. Leisure time doesn't pay taxes. We actually choose government officials who promise us steady work. What are we thinking?! If working increases taxes and the gross national product that the government loves to brag about, why wouldn't they want to us to work more? Peer pressure doesn't just affect teenagers who are choosing whether or not to take drugs. It also affects adults when choosing how to live their lives. Work is the drug of choice among many Americans. Recently, I took my first vacation in a year. I found myself bragging to my clients and friends and even my airplane seatmate. Not that I was going on a vacation. But that I had denied myself even those few days of pleasure for more than a year. Essentially I was saying, “Aren't I a good girl? Don’t I deserve your praise for working so hard?” There is pleasure in denial. Have you ever found yourself telling your peers about your long work weeks and doing what I call the “fake brag” about working on weekends? My friend Michael lives in Paris, and he says it's rude to ask people that you meet there what they do for a living. You are supposed to ask people what they do for fun and about their family. That is what's most important to them. Michael works very hard, but he is allowed two-hour lunches and vacations that are long enough to go to Corsica for a month. All that and they serve those tasty Mediterranean olives with cocktails, too. We owe, we owe, it’s off to work we go. We have chosen to work for stuff. Owning stuff feels good. Going to the mall and buying something provides immediate gratification. We work longer hours to get the nicer car to commute to the job with the longer hours. Purchasing stuff is actually viewed as a sign of entrance into adulthood. Being responsible and successful is defined as not just having a full-time job, but owning lots of stuff and having a hundred credit cards to pay for all the stuff. Other cultures have a different idea of what it means to grow up. In Australia, taking a year off to travel is seen as an important rite of passage into adulthood. Our president even tells us that shopping is patriotic. When we are attacked by terrorists and our soldiers are off fighting wars, he says, “Be a good American--go out and buy stuff.” Buying red white and blue napkins and flowerpots is equivalent to saluting the flag. In my thirties, my friends wondered why I kept my $300 a month apartment for 11 years, my Honda Civic for nine years and watched a small black and white TV that I got back in graduate school. Why did I wait so long to buy a house and begin accumulating nice things? Because I absolutely loved my life the way it was. I passionately love being a speaker, but I feared taking certain speaking jobs just in order to pay the bills. I feared getting addicted to stuff. Well, now I have a four-bedroom house, a nice car and a color TV, and like most of my friends, I am battling with the “luxury over the leisure” dilemma. As I type this, I'm looking out my office window at the landscaper that I'm working extra hours to pay so that I can have a nice view out of my office window while I am working. I would really like to take two weeks off to go to Paris, but I have that pesky house payment. When my best friend was dying eighteen years ago, he started giving away his stuff. His nice furniture and nice clothes didn't mean a darn thing to him. He told me he wished we had gone to Paris together. As for his high-powered job . . . well, people from work didn't even come to the hospital during his first stay. A year of hospital stays later there were only myself, one other friend, and his family by his bedside on the day he died. It was clear what really mattered. Work and consumerism protect us from messy family closeness. Several years ago I visited my family. It was my first vacation that year and for most of us the first time we had not been working ten to twelve hour days. Immediately upon my arrival, we all went shopping. Everyone else was shopping, too. First we shopped for more food, and then we shopped at the mall. Then we went to the video store to rent a movie. None of my family members had to have a conversation with each other for three whole days. We said things like, How does this look on me? Should I buy this? Yum, this turkey sandwich is good and Have you seen this movie yet? We dare not have a spare moment where intimacy can creep in. We are actually a close family, but working to buy stuff, and spending our little bit of free time buying the stuff we worked for kept us from getting too close. That same year my extended family of ten spent five hours opening presents. My then 21-year-old nephew, who works with school children and sings in a band on weekends, said “Next year let’s give only two gifts to each person and not waste so much money. And we can spend Christmas together, maybe doing volunteer work, instead of shopping and wrapping presents.” He was wise beyond his years. For some work has become an escape. Family life is a matter of keeping a good calendar, being a taxi service and outsourcing. We are too tired from work and commuting to be close to each other. Work becomes an escape from the boring tasks of family life. For singles work can be an escape from the scary prospect of the dating and the heartache of romantic relationships. A colleague and I have been teaching a continuing education class at a local university for the past many years. The class is called the "Meeting of the Minds." It nurtures group discussions on many different issues. Whenever we have somebody from another country such as England, Germany, or Brazil, they talk about our addiction to work and to stuff. They comment on our choice to work for stuff. They like our stores, but wonder why we would rather work than play. One young woman from Australia was in the middle of a yearlong holiday after having just finished school, and she said, "My family doesn't have a washing machine, or two cars, but we all eat together and neighbors come over and visit just about every night. It’s a good life. I feel lonely here. Everyone works late and then they are so tired from working, that they ‘veg out’ in front of their television sets. That makes no sense. When do you live?" It's pretty basic. Wherever you spend the most time becomes the most important aspect of your life. If you're working 12-hour days, your personal identity, your community, your friends and your life's meaning has to come from work. Work is our new religion. We pray not to keep God in our lives but to keep our jobs and paychecks. Cutbacks and layoffs and a just plain scary economy have made us terrified of not working all the time. Perhaps having a hole in your life where your big job or big paycheck used to be might give you the opportunity to fill that hole with something more important. I recently read that in Norway, government officials can be called in to investigate complaints about employees being forced to do repetitive work or to work at too fast a pace. Can you imagine that in the United States? No one would even think of complaining! This relates to the issue of time as well. If we are spending more time at work, then it becomes more important. We must justify our sacrifice. Because we sacrifice other relationships to be at work, it becomes our major relationship. And it's not just a tryst for men. As the number of women entering the workforce continues to increase, many of them have traded "My husband’s job defines me," for "My job defines me and I don't have to pick up my job’s socks." Work is any easy date. There is a trend for Americans on average to move every five years. Church attendance is down significantly, everyone knows the divorce rate is high, and we put the old parents in nursing homes instead of the downstairs bedroom like the Waltons did. Our one constant is work. You can always depend on work. There’s a TV ad in which a young guy in a T-shirt gets his new business cards. He looks at the card as if it's a beautiful woman, and then he kisses it. Face it--we are dating our jobs. And when “The Relationship" doesn't go well, we freak out. Because there is nothing to balance it. Where will you find love in the workplace besides in an office affair? The love of ego gratification fills up our hearts. When you work hard, you get praise. If this gratification isn’t there or if we are having problems at work, or even if we have spouses and children, recent research says we feel destroyed. Psychologists say our emotional responses to work problems and layoffs have become eerily similar to the way we used to react to divorce or the death of a loved one. In the book The Superman Complex, Max Carey demonstrates how success seeking keeps us from getting close to each other and our true selves. When people exhibit “Superman” traits they believe they can do anything well, they are always right, they can work nonstop, and they don't need anyone. While those qualities may not be applicable to everyone, they clearly show what we value. I think about my own life. 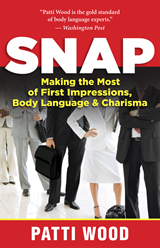 After 26 years as a speaker, researcher and writer, I am now being recognized nationally as a body language expert. I get calls daily from magazines such as US Weekly, Cosmopolitan, and In Touch wanting my nonverbal communication expertise. I fly to New York and California to be on national TV shows. 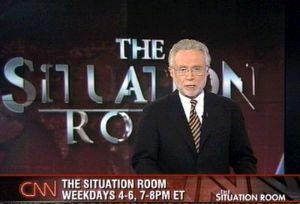 National news shows like Dateline and Fox News and the Today show want my opinions and my “reads” on celebrities and politicians. It is incredibly fun and something I worked very hard to achieve. But added to my speaking, research and writing, this means work is taking up all my life. Today I had to apologize to two of my best friends for not returning their phone calls for a week, and my boyfriend keeps saying I look tired, and my dog keeps bringing me her leash hoping for a long walk like we used to take. I think it’s time to rethink this work thing. In fact, I think I'm done writing for the day. I am going call my friends and invite them to dinner, call the Delta Frequent Flyer Miles program and book a flight to Paris for this summer and then I'm going to go plant a few flowers in my yard and have lunch. I might even have lunch with my sweetie, who, unlike my job (or my business card), can kiss me back.